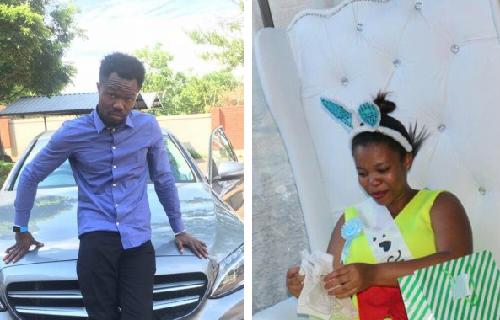 A Nigerian man is now ready to sue his South African girlfriend and her family for allegedly deceiving him saying the child their daughter carried belonged to him. 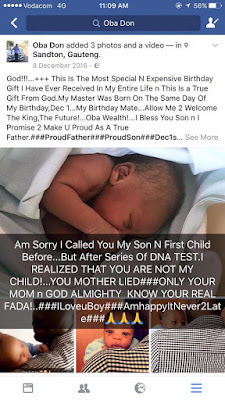 The child was welcomed in December 2016 and the man even acknowledged him on Facebook, but fast forward to June he carried out a DNA test on him, and it proved the child is not his. Now he is threatening to sue. ā€œGod!! !ā€¦+++ Public Notice: Guys Please Be Extremely Careful Of Who You Sleep (Make Love )With Oh! 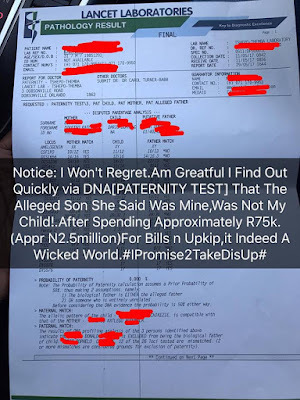 Cos She Might Love You Bcos Of Your Money N Fame,Thus Making Her To Go At Any Length That You Are Responsible For Her Pregnancy .Please Make Sure A DNA Test Is Carried Out After The Birth Of The Child Oh,Before Taking Or Accepting Responsibility Of The Alleged Child Oh. 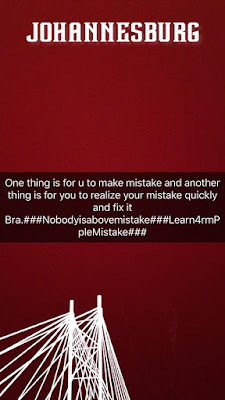 Am That I Find Out Early N Took A Bold Step To Perform 2 Major DNA Blood Test From 2 Diff Recognized Lab In South Africa.Please If She Tell You Say Na U Get Pikin Abeg My Brother Tell Am Say U Don Hear Say Una Go Do DNA TEST After She Born Oh,Before U Start Committing Yourself Fully Ohā€¦Be Wise N Learn From Other People Mistake Bra! ā€¦Am Little Bit Pained Bcos I Spent Approximately N2.5Million During Her Pregnancy Period As A Support n After The Birth Of The Child. Am Grateful Dat I Have All Proof Of Payment Transfer to Her Account For The Upkeep n All School Fees I Paid For Her During Her Study In Rosebankcollege Which Exclude Money For Uber Rides n Data/Airtimeā€¦Hmmm Its Really A Wicked World.She Did This Bcos She Thought Am Going To Marry Her If She Tells Me She Is Pregnant!.Hmmm The Things Girls Can Do Eh.Smh..Ama Fight n Sue The Family For Refund.